You are running late for work. You go outside, place the key in the engine, and nothing happens. No matter how many times you turn the key to start, the engine won’t turn over when it is cold. You don’t know what the problem could be. Well, one problem may involve the Fuel Injection Control Module (FICM). The FICM has a voltage of 48 volts as it fires the injectors. If the voltage falls too low, the injectors will not fire. You can perform a FICM check to see how much voltage it has. It’s best to check the FICM when the engine is cold and you have someone who can help. You should move the coolant reservoir to give you room. You don’t have to fully disconnect the hoses. Just remove the two bolts holding the reservoir to the cowl and push it to the side. Remove the two screws on the lid of the FICM and take it off. When you look inside, you will either see 4 screw heads or 7 screw heads depending on the year your truck was manufactured. With a multi-meter, set it to DC volts and place it on the far right screw if there are only 4 screw heads. When testing 7 screw heads, place the multi-meter on the screw on the far left in the top row of four screws. Never allow the multi-meter’s probe touch the case. Have your assistant turn the engine key without starting the vehicle up. With the key ON, test the voltage. If the voltage is 46 or more, the FICM is fine. If it ever drops below 36, then something is seriously wrong with your FICM. Tell your assistant to cycle the key as you continue to check the voltage during the key-on buzz test, it should not drop below 46 volts. Turn over the engine and check to see if the FICM maintains its voltage. If it does, your FICM is fine and you can troubleshoot other areas to determine the engine problem.
. Any Ford owner who has a vehicle with a powerstroke engine must understand the ICP sensor, how it works and why it is important to properly maintain. What is an ICP Sensor? An injection control pressure sensor, or an ICP sensor, is part of the engine. The sensor provides information about the pressure to provide the vehicle with appropriate feedback on the appropriate amount of fuel delivery based on the current driving conditions. The ICP sensor works through a simple analog signal system. While driving, the sensor will pick up on the pressure caused by factors like load, road conditions and speed. The sensor will send an analog signal that tells the vehicle how much fuel is needed to properly continue running. The appropriate fuel delivery is then able to take place so that the vehicle continues running. Ensuring that the ICP sensor is properly maintained is a vital part of caring for a Ford vehicle. The powerstroke system will not function properly if the signals are too weak or are somehow not communicated properly to gain appropriate fuel delivery. Maintaining the ICP sensor will result in better fuel delivery efficiency. If the sensor is not functioning properly, then the risk of problems like delivering too little or too much fuel is a possibility. Depending on the situation, it might be necessary to replace the sensor or make repairs to ensure the signal is properly sent and received. 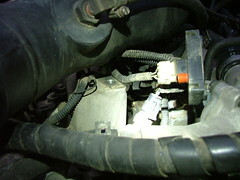 The ICP sensor is an important part of the Ford powerstroke vehicles. It sends a signal for fuel delivery based on the pressure readings while driving. When it is properly maintained, the vehicle will run efficiently. A diesel engines main purpose is to create energy through a cycle of controlled explosions inside a small chamber. There are 4 main phases to the cycle of a diesel engine, each one involving a stoke of a mechanical piston in the engine. 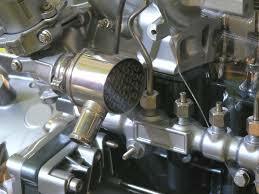 These are termed the intake, compression, combustion, and exhaust, strokes. During the intake stroke phase, an air intake valve opens up, letting in air as the piston moves down in the chamber. Next during the compression stroke the air intake valve that was just opened closes which seals off the chamber. Then the piston moves up and compresses the air inside the chamber creating heat. This heat then helps to ignite the fuel during the combustion stroke. During this phase a fuel injector sprays a mist of tiny droplets of evenly distributed diesel fuel directly into the chamber at the perfect moment just before the piston reaches the top of the cylinder. The fuel injector ensures that an optimal amount of fuel is used. The combination of air, fuel, and heat resulting from compression of the chamber, causes combustion. This explosion forces the piston back down and creates the power needed to turn the wheels. After the piston has been forced down comes the exhaust stroke. An exhaust valve opens and the piston comes up to the top once more to let out the fumes from the previous cycle. After that the process starts over from the beginning with the intake stroke as the piston moves back down. Diesel engines have a number of advantages over a typical gas engine. First they burn less fuel for the same output, this allows them to operate at up to 15% more efficiency when creating energy from fuel. They also last longer due to the lubrication properties of diesel fuel, and the extra strength of the parts and metals used. Diesel is also considered safer than regular petroleum because of its low vapor, and because it will not explode in a low compression situation, instead it just burns. Diesel engines also have low carbon monoxide exhaust, allowing them to be used in close proximity to humans in enclosed areas, like mines. A final important advantage is diesel engines do not have a high voltage electrical ignition system, which increases their reliability, and lowers the chance for electrical interference with radio equipment which is especially necessary in marine and aircraft applications. What’s your take? Is Ford reaching out to the right crowd? Via The Wall Street Journal, Ford recently announced plans to build a new plant in Chine with Jiangling Motors Co. While it’s not clear what the new vehicles will be, sales in China have increased 50% through may, in part to Ford’s fleet of comact cars and SUVs. The removal of these particular components will require a socket wrench, 10mm socket, an 8mm socket, pliers and a special T-20 socket to place on a volt meter in case you want to test the voltage output from the thickum. In order to stem burn hazards from the engine itself and or the coolant, be sure that the engine is completely cooled before removing the thickum. First, reposition the coolant reservoir. By following the steps listed here, you will avoid having to drain any of the fluid in the reservoir. Next, locate the tank and the plate that holds it in place. It should be sitting toward the back of the hooded area of the car. Use the 8mm socket to remove the two bolts on top of the tank. Once the bolts are removed, reposition the tank by sliding it toward the front of the vehicle. Because you will be moving toward the driver’s side fender, you will need to disconnect the small hose on the passenger side of the tank. Be sure to keep the tank tilted so that the coolant does not escape once the tank is removed. Once the tank is properly set aside, use your pliers to remove the hose clamp on the reservoir. Because the tank is pressurized, remove the hose clamp slowly. Now, remove the tank over to the driver’s side to gain access to the thickum. Keep in mind that the hose contains coolant; so placing it into a container may be best. Fluid will shoot from it when the vehicle is cranked for testing. Use the T-20 bit to remove the window covering the test terminals. You may have to pry the thickum from its bedding by using a flathead screwdriver. Use volt meter to test the output strength of the module. Keep in mind that the models predating 2007 will have seven terminals as opposed to four. Do not let anything accept the terminal receptors touch the thickum housing; you don’t want to fry your module. Four a four-pin module, test the pin closest to the driver’s side. For a seven pin module test the top pin closest to the driver’s side. You should get a minimum reading of 45 while the engine is cranked. Use the 10mm socket to remove the two bolts holding the fuel injection control module. Once the bolts are removed, lift up on the module to gain access to the wiring system. The wiring is attached by tabbed fixtures. You should be able to squeeze the tabs and gently remove them. When the time comes to reinstall the wires, press the tabs until you hear a snap. Take the removed and de-wired thickum and place it into a safe container. Your EGR cooler, or exhaust gas recirculation cooler, is a device designed to reduce engine emissions and improve engine efficiencies. It does this by recycling exhaust gasses by recirculating them through the engine. Over the course of time, the cooler can become filled with carbon buildup and other filthy deposits than can hamper the ability for the EGR cooler to do its job properly, and lead to reduced engine performance. Cleaning your EGR cooler regularly can help maintain its efficiency and that of your Powerstroke engine. Here are the steps necessary to clean your EGR cooler. Remember, it is always easier to work on a cool engine that has not been running recently. This can help prevent painful burns. You’ll first need to remove the intake manifold and air intake hoses that are located on the manifold. The manifold will usually be found on the side of the engine. Once those hoses are removed, you’ll need to unplug the PVC heating element. 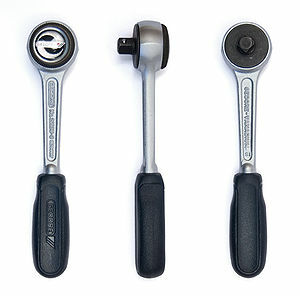 Loosen and remove the two hex bolts holding the change-over valve and remove it. You’ll then need to remove the vacuum lines on the anti-shudder valve and the EGR. Take off the turbo intake pipe by removing a hex bolt and clamp. Remove the EGR by taking out the three bolts that hold it in place. Clean the intake of the EGR with degreaser. Re-assemble by reversing the steps above making sure you use new gaskets in the process. Keeping the EGR cooler in your Powerstroke engine can keep if running cleaner and smoother, and help keep emission levels low. It is certainly a maintenance project most enthusiasts can handle on their own.